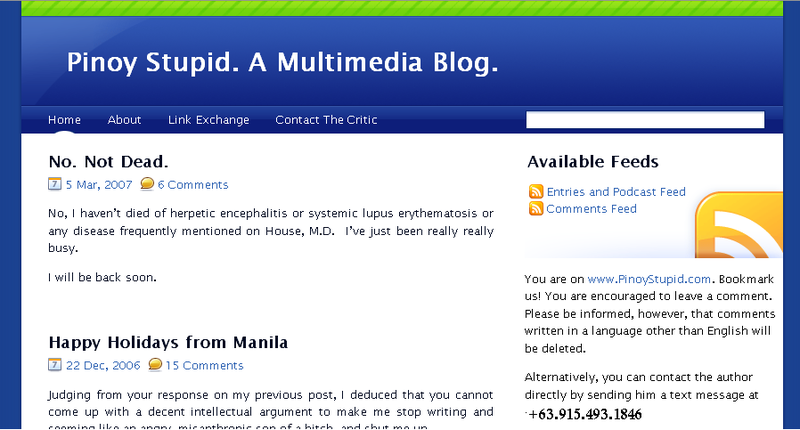 About | Filipino Idiocy - A revival of the INFAMOUS Pinoy Stupid Blog. A revival of the infamous multimedia blog, Pinoy Stupid, that exhibits the innate stupidities that are entirely, originally Pinoy. They show in little everyday doings of normal people all over the Philippines, and the blog documents as much stupidity as possible. Published by The Critic. It has been revived after the hideous hack attacks from monkey-loving fans of Manny “Champion of the Monkeys” Pacquiao. Filipinoes average IQ is 85. End of the story. End of the story! !